Essential oils seem to be gaining in popularity these days. This is a bit funny, considering their herbal cousins, as well as additional natural solutions, have been employed for centuries in Eastern medicine. As Western holistic care and naturopathic therapies continue to provide alternate resolutions for people looking to take charge of their own healthcare, it is imperative that one has a firm understanding of essential oils, their uses, and many benefits. A popular alternative for those desiring more natural remedies to anxiety, sleep, allergies, and especially common and uncomfortable digestive issues, essential oils should only be properly administered once you have taken the time to learn about and understand them. Essential oils can be a fantastic healthcare solution for many people, but you must know what you’re doing before you begin using them. It’s important to start with the basics and work your way into the details so that you will be ready to take charge and help support your body’s healing process with powerful and potent high-quality essential oils. It’s always helpful to employ the services of an essential oil expert before you begin this journey. Aromatherapy Sciences is proud to offer these all-natural solutions that are geared towards easing your discomfort and encouraging your all-around well-being. We have found the essential oils offer much-needed comfort for the mitigation and improvement of acid reflux, indigestion, GERD, heartburn, and so much more. Because essential oils have been utilized for centuries to treat common illnesses, it’s nice to know that there are several oils that can help with nearly any minor issue you may be faced with. In fact, we believe that issues that pertain to digestive problems are quite susceptible to alleviation through the use of essential oils. Aromatherapy Sciences focuses on this reach past and offers only the highest quality of essential oils that have shown a history of successful applications. We are sure to listen to our customers and take heed to what they say so we can continually update our ability to offer superior products and make suitable recommendations. When it comes to the pain and distress associated with digestive problems, we assist people to ease acid reflux, indigestion, GERD, heartburn, safe and all-natural essential oils. It is our mission to source the best aromatic, botanical extracts available for aromatherapy, ingestion, and for topical applications. We understand that the choice of provider, the environmental region, soil, climate, and growing conditions can greatly affect product quality. We partner with upright and honest growers from around the world and are dedicated to finding only the best oils for our customers. In addition to supplying high-quality oils, we also pride ourselves in providing exceptional customer service. Among our talented staff are holistic experts who have studied the science behind the therapeutic concept of aromatherapy and the use of essential oils to treat a myriad of conditions. Our uppermost objectives at Aromatherapy Services are to offer you the most exceptional essential oils and related supplies at fair prices, combined with superior customer service, and trouble-free and expedited shipping options. We also offer a 100% satisfaction guarantee. Should you find yourself with any questions, concerns, or in need of direction, we are happy to be here for you, either by phone, email or through our website. 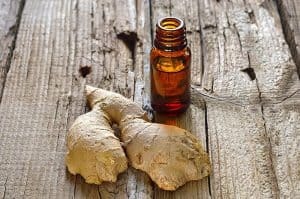 Although the proper use of essential oils is helpful for multiple ailments, we have found that they are very useful when it comes to treating gastrointestinal problems. Nearly everybody has suffered from acid reflux at one time or another with many of us undergoing its discomfort far too often. One of the predominant symptoms of acid reflux is heartburn. Heartburn when stomach acid proceeds back up the esophagus and induces a painful burning sensation in the chest region. 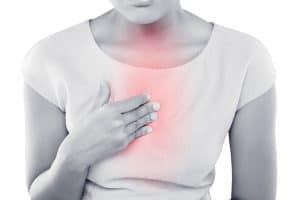 Acid reflux and heartburn are frequently joined by additional disagreeable symptoms, such as bloating, difficulty swallowing, and indigestion. Should you experience acid reflux while trying to sleep, it is a safe bet you will experience sleepless nights, as well. While there are multiple motivations to acid reflux, you can rest easy (literally) knowing there are several essential oil remedies that can offer comfort. Acid reflux can be a terrible affliction each and unto itself, but GERD, on the other hand, can be even worse. GERD is the acronym for gastroesophageal reflux disease and is a designation meant to describe the chronic suffering of acid reflux. When experiencing acid reflux, a common over the counter remedy is often in the form of chalky tablets or pink liquid. Although these remedies can certainly be adequate, you are ignoring a method that has a rich history of success. In fact, essential oils have been relied upon for centuries, basically since the dawn of mankind. Essential oils have the potential to be a natural alternative to quell your acid reflux and ensuing symptoms. For those of us who are sufferers of acid reflux and heartburn, we know that it can be hard to enjoy the simple things in life, such as mealtime. Sometimes we get heartburn and sometimes we don’t, but one thing for sure is that we always think about. There is always the chance that this will be the meal that causes it, raising our stress levels to the point that we are affected in other areas of our lives and even making us that much more susceptible to acid reflux. With the use of the correct essential oils for our unique body composition, you may have the power to ease and even eliminate, acid reflux altogether. How do you do it? There are many ways to utilize essential oils and experience the benefits but, especially when it comes to acid reflux, we have found that the best way is to ingest it by adding a few drops – depending on the oil – into a mug of warm water or herbal tea. This provides soothing relief that helps to combat the symptoms of acid reflux and even encourage the relaxation of the stomach muscles. When you are trying to find the best oil for you, you might consider much of it trial and error. But, here at Aromatherapy Sciences, we have the experience and knowledge to point you in the right direction. We have found that each person’s body chemistry is unique to them and it is important to find the right essential oil for you. For many, essential oils are the best choice for alleviating acid reflux, indigestion, GERD, and heartburn, and they can play a powerful role in promoting wellness. Administering essential oils carefully and successfully involves basic knowledge about what they are, how they work, and how they can be safely incorporated into daily life. That’s because essential oils can be powerful medicine — and irresponsible use means risking overexposure, toxicity, and allergic reactions. Aromatherapy Sciences is here for you as a trusted authority to ensure that you are doing what’s best for you and your particular situation. We, at Aromatherapy Sciences, take great pride in offering the best essential oils for those that suffer from acid reflux and its accompanying symptoms. We are also especially sensitive to chronic sufferers of GERD. Whatever your intended use, these highly concentrated healing oils for healing, well-being, and comfort will delight you and serve the purposes for which they are intended. We encourage you to reach out today. We are here to help.